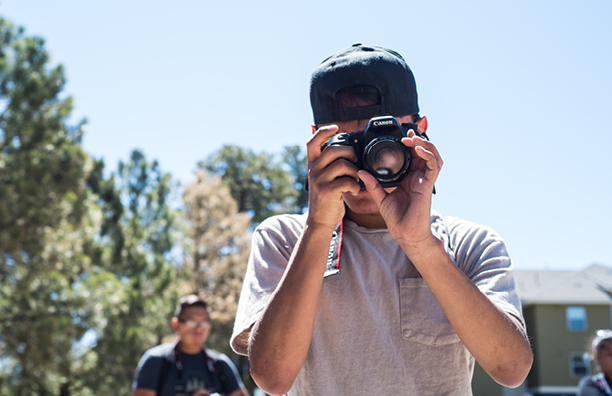 With significant support from the Robert Wood Johnson Foundation, the Dow Jones News Fund provides funding for summer workshops to inspire high school students who face barriers to pursuing a career in journalism to consider working in the field. The aspiring journalists will concentrate on health and wellness topics as they learn to report and write for an audience, shoot and edit video and take photos. Since 1968, the News Fund has joined other sponsors to introduce more than 12,000 high school students to journalism careers and provided valuable hands-on experience publishing in print and digitally. These workshops add value beyond the newsroom, exposing students to campus life, thinking critically and working collaboratively. Interested in hosting a News Fund Workshop? Find out how to apply here. The Andy Harvey Native American Broadcast Workshop brings 20 Native American high school students from across Arizona & the Southwest to the NAU Flagstaff campus for a week to learn the “ins and outs” of broadcast journalism. Usually held in June, workshop participants live in dorms on the Northern Arizona University campus in Flagstaff and work in the School of Communication’s Student Media Center newsroom and HD studio. Working alongside NAU students and broadcast journalism professionals, the students produce multimedia stories, learn how to conduct interviews and produce a live-to-tape news broadcast covering the day’s local news. This workshop encourages Native American high school students to work together to tell the stories that are most important to them and their communities. We give them the tools to take that first step. This was the vision that the late Andy Harvey who worked to tell the stories important to him at KPNX 12 News in Phoenix. His dream was that the next generation would take up the torch and be the storytellers of their communities. Donald W. Carson Journalism Diversity Workshop teaches Arizona teens about reporting basics, media ethics, broadcast and multimedia journalism, design and editing, and different storytelling techniques. Students pitch, research and write articles for The Chronicle newspaper and produce multimedia projects for the website. 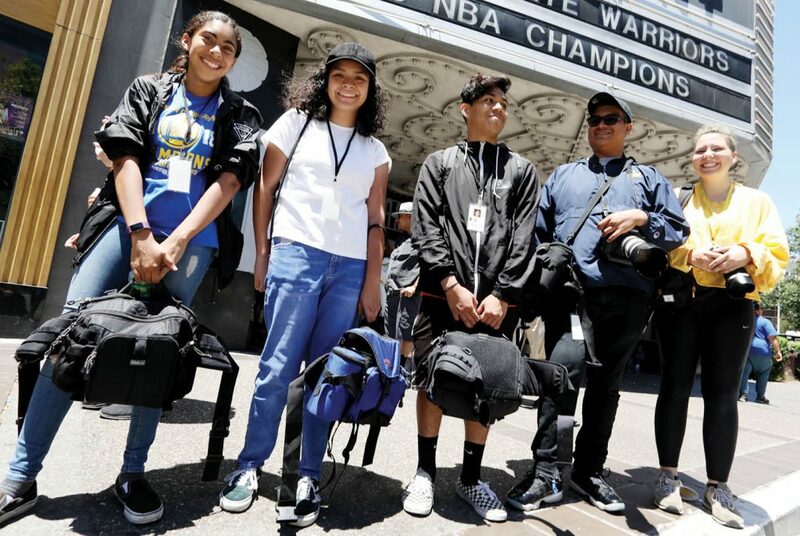 The California Chicano News Media Association's Mosaic Journalism Workshop employs professional journalists and college interns to train high school students in newspaper and multimedia journalism as practiced in professional newsrooms. For two weeks students produce stories and commentary about teen issues and other topics in communities beyond their campus walls. They hit the streets just as professional journalists do to find people who make the news and are affected by it. June 17, 2019 - June 28, 2019 Howard University Washington, D.C. The Howard University Multicultural Media Academy will teach high school students how to report, write and broadcast stories about the causes of poor health outcomes in their communities, how to engage stakeholders and how to find solutions. Using solution-oriented storytelling and fundamental journalism principles, they will learn to interview people of all ages, including local citizens, medical professionals, scientists, public health experts and health-care executives. This workshop is for students from Miami Edison Senior High, North Miami Senior High, and North Miami Beach Senior High - schools that do not have striving journalism programs and may no longer produce a student publication in print or digitally. The James Ansin/Peace Sullivan High School Journalism and New Media Workshop at the University of Miami is a fully-funded, incredible summer educational opportunity for up to 20 high school students interested in journalism and new media. Accepted students live in the UM residence halls, work with experienced faculty and professionals. They produce both a printed newspaper and a website on a topic of interest to South Florida. In past years, the publication (Montage) has been a national award winner and the program has been a transformative experience for the students. Encourage your finest students to apply. The Hugh N. Boyd Journalism Diversity Workshop for New Jersey High School Students at Rutgers University is a 10-day journalism boot camp dedicated to inspiring a diverse group of talented high school students to pursue careers in journalism, and developing and improving skills in writing and editing as well as digital media skills. Admission is competitive. Students attend on full scholarship and all expenses, including room and board, are covered by the program. 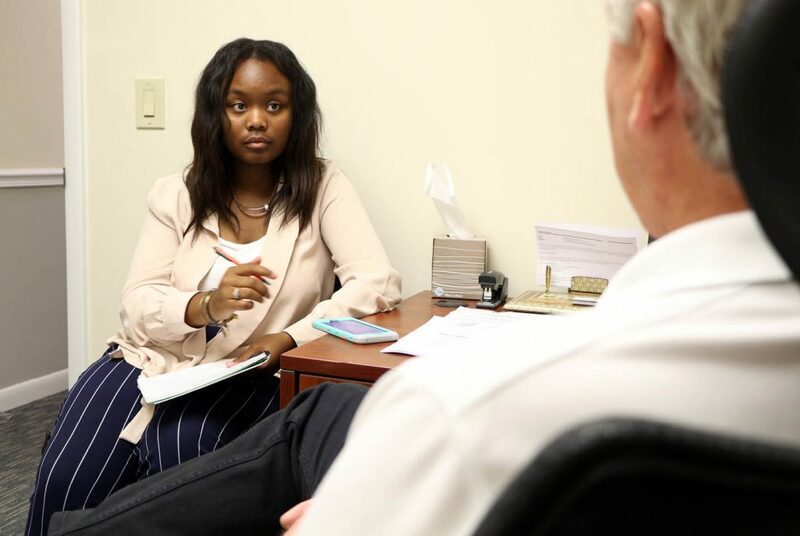 The Oklahoma Institute for Diversity in Journalism offers an annual workshop for promising high The Oklahoma Institute for Diversity in Journalism offers an annual workshop for promising high school students, scheduled each summer. The program’s goal is to expose youth to careers in the world of daily journalism. OIDJ’s mission is to provide opportunities for students who would otherwise lack access to journalism training or who face other barriers to pursuing careers in journalism. The program is funded by several organizations including the Dow Jones News Fund, the Ethics and Excellence in Journalism Foundation and the Gaylord College of Journalism and Mass Communication at OU. Selected students will be given free room and board in a residence hall on the University of Oklahoma campus. Supervision of their stay will be provided at all times by peer counselors and OU staff members. Participants will attend training sessions throughout the day and evening in the state-of-the-art facilities of the Gaylord College of Journalism and Mass Communication. Participants will research, report, write, video and edit stories on a variety of topics and news events. Instructors will come from a variety of educational institutions and professional media organizations. Students participating in the Journalism in July Workshop at the University of Texas, El Paso, take their cameras, audio recorders and notebooks to downtown El Paso to get a look at the stories in the heart of the city. The students begin their training on the UTEP campus with lectures and demonstrations on traditional newsgathering and new multimedia skills taught by professors and area news professionals. Then, they go into the field to apply their new skills in professional news reporting followed by video editing and web posting. Marshall University's W. Page Pitt School of Journalism and Mass Communications will host a high school journalism workshop June 23-28. Workshop participants will conduct interviews, write articles for print and online, study layout/design principles and learn to use social media. Students will also be embedded at The Herald-Dispatch, Huntington’s local newspaper. Students will shadow various Herald-Dispatch beat reporters, participate in news budget meeting and be exposed to various aspects of journalism, including photography, video and page design. Tuition, housing and living expenses will be covered by Marshall University.